I have the great pleasure to provide this testimonial for Zac Seymour and his team at Beaches Building. This team is outstanding. Always punctual, fair, do what they promise and above all are reasonable and their work is very reliable. They have done several jobs for me at my private home, and I have referred them onto many of my clients who have also used their services also. I have no hesitation in referring them and I am sure you will be as delighted as I was with the end results. Zac and his team did a great job on my house. Working with a loose brief (that was my fault!) zac was able to deliver a high quality finish to a house that hadn't been loved in over 70 years. Zac kept me informed of progress throughout the build process and was able to deliver innovative solutions that also help to reduce the build costs. We didn't work on a fixed quote basis which was my choice but zac always worked hard to keep the costs down and minimize wastage. I can't speak highly enough of zac and his team and would be happy to recommend them to a tone considering a new build or a renovation. From the first time that Zac Seymour and his team at Beaches Building came to inspect and quote our major renovations, we were hugely impressed by the care and professionalism that they showed towards every aspect of the job. Nothing was too much trouble for them and our whole experience of building was actually enjoyable. We have built several houses over the years, and dealt with several different builders . Without any doubt, Beaches Building proved the most conscientious and efficient. We would unhesitatingly recommend their services. 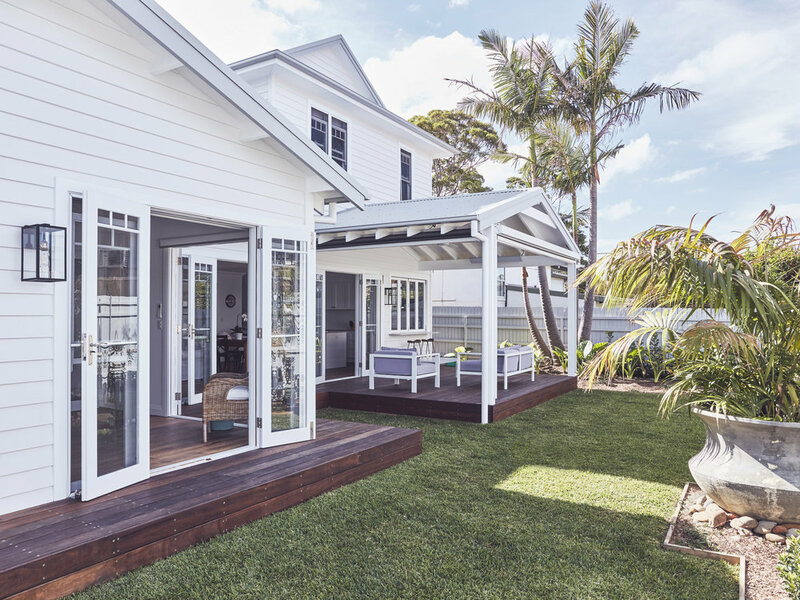 I am more than delighted with the work, punctuality, cleanliness and friendliness of Beaches Building and wouldn’t hesitate to recommend them to any large or small renovation work. Beaches building recently helped us with extensive renovations on our home both inside and out. The work was completed on time, within budget and with highest level of craftsmanship and attention to detail. We could not be happier with the work. Having any building work done on the house while you are living in it can be stressful however Zac and his team made it easy by being considerate with noise, working in with our schedule, and cleaning up everyday before leaving. I cannot recommend Beaches Building highly enough. Zac, Cason and team were flawless from initial quotes through to the project’s end. I was blown away by how organised and communicative everyone was. Literally nothing was too much trouble. Once the project was done and it was just the random after care defects, they came back as many times as it took, normally within a day, to make sure it was fixed. They were also fantastic about making sure my dogs were always kept out of harms way, never escaping or getting into work zones. The site was always left tidy at the end of the day, which was important since we were living in a back room throughout the entire renovation. I really couldn’t recommend Zac and guys highly enough, having passed on their details numerous times to to friends already. If we renovate again, I would definitely use Beach Building.